From beta to record breaker. When a video game that counts Drake among its fans has breakfast TV shows around the world discussing its effect on younger players, it has truly made it. No, we're not talking about Grand Theft Auto, but Fortnite, Epic Games' mass-multiplayer shooter that has more than 40 million players across consoles and PC, and continues to grow at a rapid pace. When Fortnite launched as a paid Early Access game in July 2017, it was solely as a PvE (player vs. environment) experience. Players completed levels by collecting materials and crafting super-elaborate bases to repel hordes of zombies. Reviews were mostly positive, but Epic kept one eye on the success of another Early Access game -- PlayerUnknown's Battlegrounds (PUBG) -- and quickly spun out a free-to-play mode, "Battle Royale," the following September. The premise of this new mode was simple: 100 people parachute onto an island with only the clothes on their back and a pickaxe. Players can go it alone or enter as a team of up to four. As they forage for weapons and defensive items and generally hunt rival players, the game slowly restricts the game area by way of a "Storm Eye," which players must remain inside to survive. It's this mechanic that keeps the game active: The eye periodically shrinks and players are forced to converge on the same areas on the map or risk checking out early. If that idea sounds familiar, it's because the gameplay loop is what made PUBG so popular in the first place. Battle-royale games existed before -- both Rust and H1Z1 enjoyed some level of success -- but PUBG, with its expertly designed map and tight shooting mechanics, was the first to truly resonate with gamers. By September, PUBG had broken the record for most concurrent players on Steam, reporting 1,342,857 players versus Dota 2's previous milestone of 1,295,114. However, December was when the game truly exploded. It took home "Best Multiplayer Game" at the 2017 Game Awards, and before long the game had 30 million players and concurrents rose to 3.1 million, helped by its release on Xbox One. When Fortnite: Battle Royale appeared, the similarities between the two weren't lost on people. Chang Han Kim, CEO of PUBG Corporation, slammed Epic for "replicating" the game and threatened to take further action. The situation was complicated by the fact that PUBG uses Epic Games' Unreal Engine. 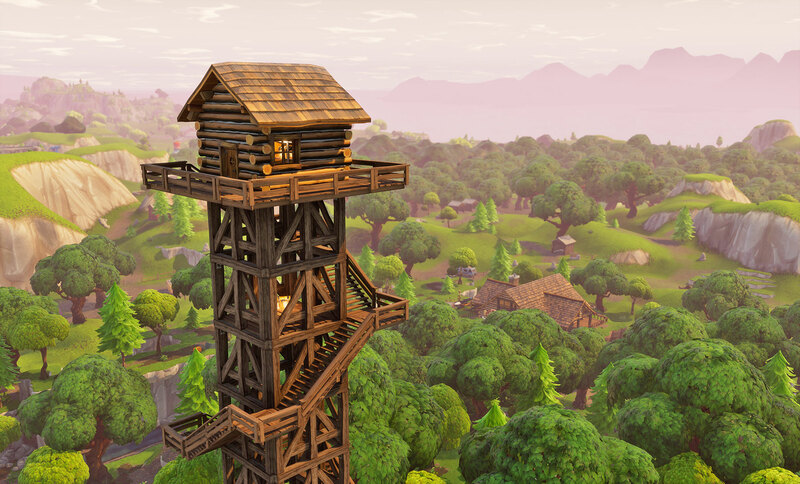 By December, Fortnite was roughly level in total players but had less than half of PUBG's concurrent numbers. By January 15th, though, the game had added a further 10 million players. On January 19th, Epic said another 5 million people had picked up the game, bringing the total figure to 45 million. It's likely that the second surge was prompted by Battle Royale's updated map, which went live on January 18th. The update added various new locations to the game world, including a motel and a big city, as well as biomes, which provided different areas with their own unique environments. That success continued into February. On February 8th, Epic announced that Battle Royale had topped its rival's concurrent player record, amassing an impressive 3.4 million users (the previous record was 3.2 million). The game was seeing unprecedented demand: rewind a fortnight and that number was around the 2 million player mark. Up until that point, both Fortnite and PUBG had been enjoying growth independently of each other, but February saw the latter's numbers fall for the first time ever. In January, PUBG had an average of 1.58 million players, with a peak of 3.26 million. In February, those numbers slid down to 1.39 million average and 2.93 million peak. As Fortnite rose, streamers saw exponential rises in audience numbers. Tyler "Ninja" Blevins is one such personality. Blevins was a former professional Halo player who went all-in on streaming, riding the early wave of interest in H1Z1 before turning his attention to PUBG and then Fortnite. Such was the interest in streams of Epic's free-to-play hit, Ninja regularly began pulling in more than three times the number of viewers he usually averaged, consistently reaching 100,000 concurrent viewers at a time. On March 12th, Kotaku put his total Twitch subscribers at 130,000 viewers. Thanks to Twitch Prime and the streaming platform's varying subscriptions tiers, it's impossible to say exactly how much money Blevin would make from these viewer numbers, but it would be at least $350,000 per month. His enthusiastic mannerisms and reactions to kills endear him to younger viewers, but it's his high level of skill that has won over a more diverse group of fans, including the musician Drake. Drake's interest started with an Instagram follow, and before long Ninja promised the duo would team up for a Twitch livestream. On March 15th, Epic Games and Twitch employees looked on in amazement as Ninja not only buddied up with Drake but also rapper Travis Scott, Pittsburgh Steelers wide receiver JuJu Smith-Schuster and Kim Dotcom. Word of Drake's involvement quickly spread and made Ninja's streams even more popular than usual. When Drake tweeted that he was streaming live, however, records were broken. Buoyed by some of the rapper's 36.9 million Twitter followers, Ninja's stream passed 635,000 concurrent viewers, destroying the Twitch record for a single streamer. It also pushed his subscriber count to over 180,000, boosting his monthly earnings from the platform close to $500,000. As Fornite's popularity increased, so too did general interest in the game. Both Good Morning America and the UK's This Morning show featured slots discussing the addictive nature of the game and parents' worries about a possible desensitization to violence. The game does involve classic shooter elements, but it has a vibrant, cartoony art style that doesn't show blood or gore. Does Fortnite deserve its place as one of the world's most popular games? Absolutely. Unlike shooters like Overwatch or Call of Duty, Fortnite doesn't attempt to put as much emphasis on player ranks. Matchmaking isn't based on a user's skill level, which gives players the opportunity to come face-to-face with players both more and less proficient at the game. This is key: If new or lower-skilled players are constantly matched against people who are on or around their level, they may find it hard to make an impact and suddenly the game becomes a grind. As with other battle royale games, loot is randomly dropped all over the map, and downed players drop any loot they've collected. No two visits to the same location will offer the same weapons, health packs and shields. At the start of a game, this is the ultimate leveler: Highly skilled players like Ninja can land, race to a gun, and be beaten to it and eliminated by someone playing for the first time. After being killed, players can either spectate their opponents or join another game. Fortnite's success isn't accidental. Free-to-play gives it a considerable advantage over PUBG as gamers can try it out with no risk. Epic makes almost all its money from in-game items. Gamers can choose to buy a cheap Battle Pass, which unlocks certain in-game items and opens up new challenges, or simply buy the skins or emotes they like via the in-game store. There's no pay to win; it's purely cosmetic. That's an easy sell to parents, who won't have to put money down for yet another video game. Unlike PUBG Corporation, Epic is an established developer. Its Unreal game engine is used by many companies, bringing in steady revenues. Its experience and cash reserves allowed it to quickly scale advantage scaling up support and resources, while PUBG slowly ramped up development as player numbers swelled, only releasing "version 1.0" in December of last year. Epic has an entire team dedicated solely to Battle Royale, which pumps out new in-game items, matchmaking modes and bug fixes roughly once a week. Just this month, a new "20 vs. 20 vs. 20 vs. 20 vs. 20" mode has arrived, offering a more clan-based take on the royale formula. This rapid release cycle also enables the company to tap into internet culture. Memes are integrated into the game while they're still fresh, with in-game emotes of famous dances or gestures. And the success of the game has also seen it begin to have an impact on culture in the real world. Soccer and rugby players have been recreating moves from the game to celebrate scoring, and it's likely we'll see NFL stars do the same when the new season starts. Following Drake's recent appearance, gamers are now calling for a "Hotline Bling" emote. You can bet Epic is doing everything it can to make that happen.